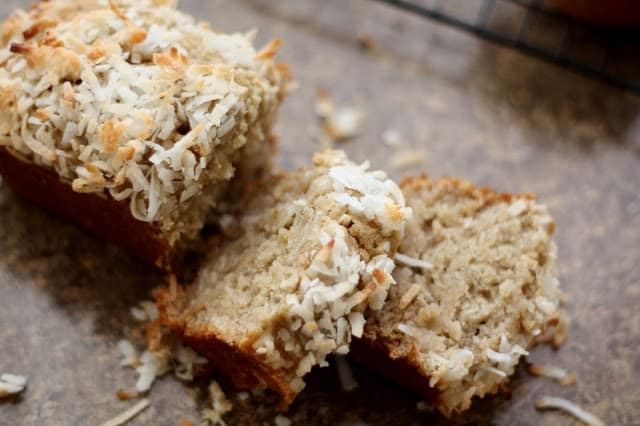 This is a light and fluffy banana bread, flavored with a hint of pineapple and a sprinkling of coconut. Hawaiian muffins have been a family favorite for a number of years and I’m excited to finally have a gluten free version that tastes every bit as delicious as the original. These muffins disappeared in less than a day and my kids have already asked me to make them again. bananas, then add to the batter, along with the pineapple and coconut. and a toothpick comes out clean. Remove from the pans and let cool on a wire rack. Serve plain or slathered in butter. Enjoy! YUM!!! Love the twist on one of my favorite sweet breads!! Love the look of the coconut on the top! What a perfectly lovely idea. 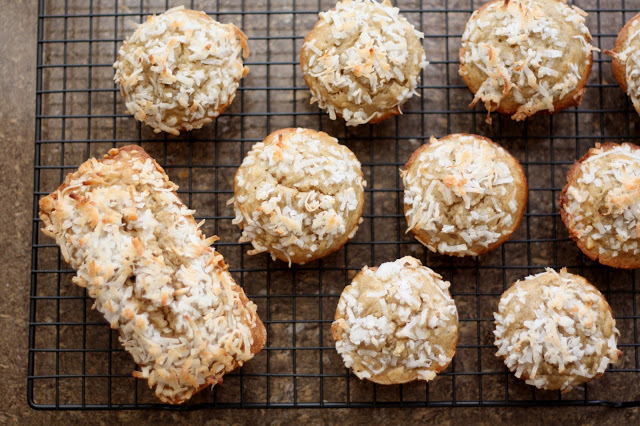 I bet those little bursts of pineapple and coconut are dreamy! Don't you just love the smell of baking banana bread. Yum! Wow, this looks sooooo good!!! What a seriously gorgeous bread. That addition of coconut on the top is really cool. This sound very healthy and good too. I've been looking for a gluten-free zucchini bread recipe and couldn't find any. I've made many of your GF desserts and they always turn out great, so I knew I could convert this one to zucchini bread. I omitted the banana, pineapple and coconut and added 1 1/2tsp xanthan gum, 220g shredded zucchini and choc chips. The first time I made the bread, I added the entire bag of choc chips...TOO chocolatey! But otherwise, great!! The second time, I added 1 rounded cup of choc chips. Still a little too chocolatey, but much better!!! could i substitute the rice flour with almond or coconut flour?? 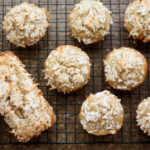 Both almond flour and coconut flour will dramatically affect the texture of these muffins. 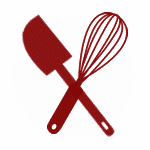 Unfortunately, I wouldn't recommend either of them for this recipe as it is written. You'll need to adjust the amounts for the other flours and it will likely require a few tests to get the same results. I haven't tested the recipe that way myself, so I can't be more helpful. If you do try it, let me know what works for you! I made these yesterday and substituted 1.5AAnn cups of King Arthur Measure for Measure flour to make them GF. They are fabulous and we all loved them. That would be 1.5 cups of King Arthur Measure for Measure Flour! Honestly just because you put coconut and pineapple in it, doesn't make it "Hawaiian"
So very true :) However, many of us associate pineapple and coconut with Hawaiian flavors, whether accurate or not. All the best!